Situated in the foothills of the Rocky Mountains, Bragg Creek is a charming hamlet retaining all the quaint character of the past. Just 30 minutes drive from Calgary close to the junctions of highways 8 and 22, it’s a community of artists, ranchers, local businesses and commuters, existing in harmony with the beauty of nature. The area attracts many visitors, from hikers and bikers to those seeking pleasure in the unique shops and restaurants. You won’t find big-box stores in Bragg Creek! Instead, you might find the occasional horse hitched up outside the local supermarket, a music or arts event, and crafts to buy from local artisans. The restful atmosphere, physical beauty, old log buildings, trading post, and newer shopping center is a magnet for a true diversity of residents and visitors alike. Welcome to the Bragg Creek Centre, our state of the art facility, located in picturesque Bragg Creek. Only minutes from the city of Calgary, our Centre is second to none. It offers a wonderful venue for weddings, corporate meetings, tradeshows, auctions and banquets of all varieties. 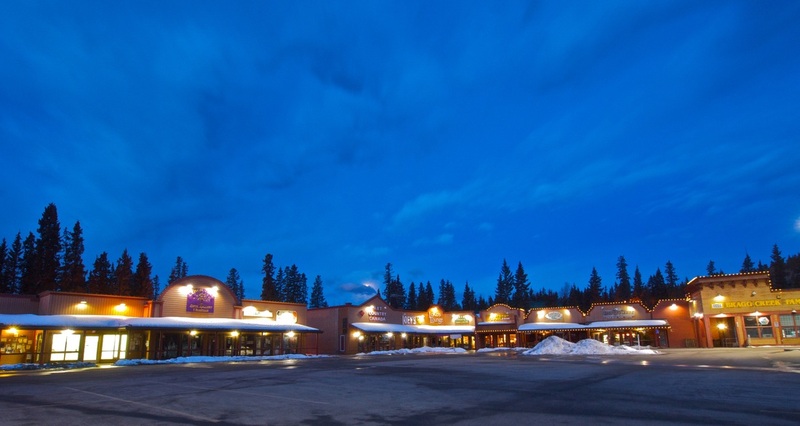 You will enjoy a relaxed style and ambiance that only the Bragg Creek Centre can offer. Located in the heart of Bragg Creek, nestled in a treed setting with Kananaskis Country at our doors, our location offers recreational opportunities to complement your visit to the Bragg Creek Centre. Welcome to the official website of the Townsite of Redwood Meadows. Located 25km west of Calgary, Alberta, Redwood Meadows is a planned community off the Cowboy Trail in the forested foothills of the Canadian Rocky Mountains. Developed by the Tsuu T’ina Nation, the community is built around an 18 hole championship golf course among spruce forest and the Elbow River in the backyard. Redwood Meadows is Bragg Creek's closest neighbor, a short 5km walk down the road. We hope this website provides you with all of the information you need to know about our community, whether you are a resident, are looking for the perfect place to settle down or are searching for the ideal location for a wedding. Bragg Creek Performing Arts is a group of volunteers, within the non-profit Bragg Creek Community Association. They bring quality concerts, by professional performers, to residents of and visitors to the Bragg Creek/Redwood Meadows area. The Bragg Creek Artisans is a collective group of like-minded artists committed to expanding their expertise and promoting local arts within their community. The general membership has more than quadrupled since its beginning. The area from which members are accepted has expanded from Bragg Creek and environs to include neighbouring communities.